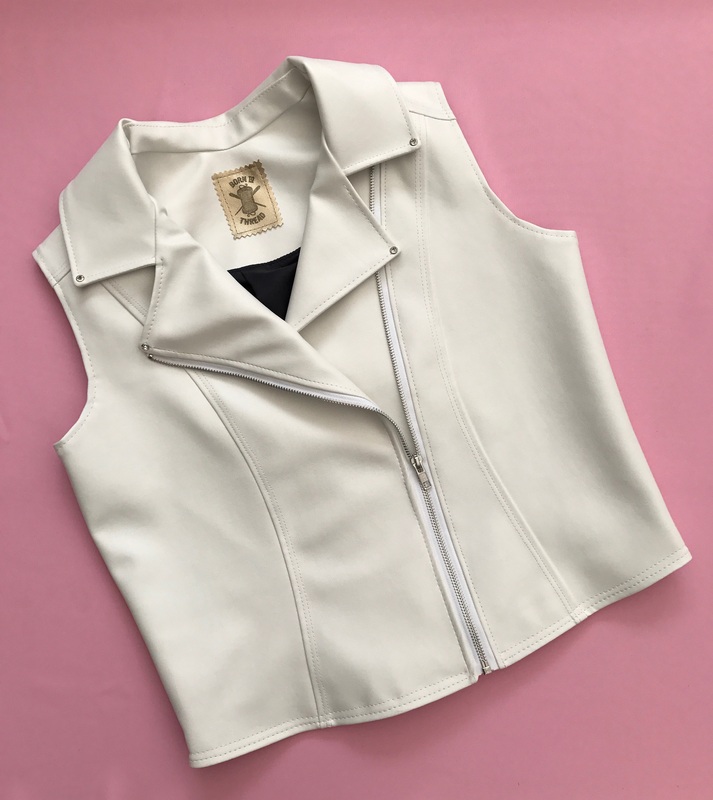 Swish and flick….. just wait till you see this enchanting bespoke jacket I have created using my wizardry powers for a magical bride. 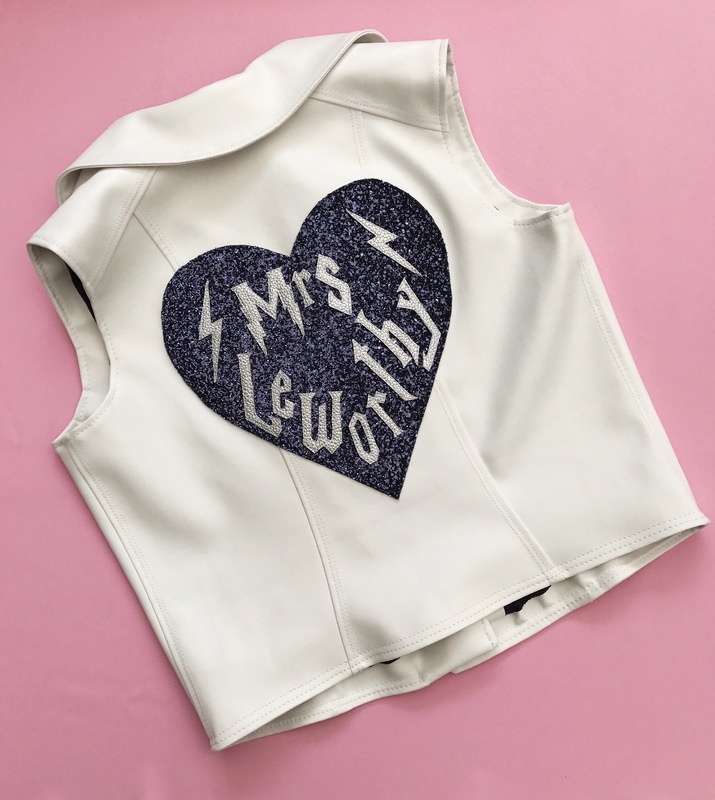 With navy and silver been the colour theme of the wedding, I used a stunning navy glitter fabric for the heart and a dull silver metallic pleather for the lettering which has a fun take on the Harry Potter font as the bride is a Mega fan. I absolutely enjoyed making this jacket, it going to look so cool on the day.